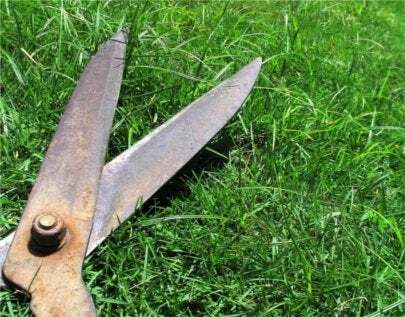 It’s the great American obsession, and we spend about twenty-five billion dollars a year on it, but if lawn care is eating you alive, you can opt out! The “perfect lawn” is really a grass monoculture: something that doesn’t occur in nature and therefore takes lots of work and expense to sustain. If you’d like to avoid those high water bills, toxic chemicals and weekend chores, you have options. First, ask your local extension service which grasses grow best in your area with the least water and fertilizer. Water deeply, but not often to encourage deep root growth. mow frequently but not short to encourage vigorous grass, not weeds. Save yourself some work by limiting the lawn area to where you really need it and adding low-maintenance groundcover, shrubs, and flower beds instead. In shady spots or high-traffic areas, artificial turf is actually a great bet in any climate. And you get your weekends back!